The dragon is a very popular and auspicious feng shui cure. 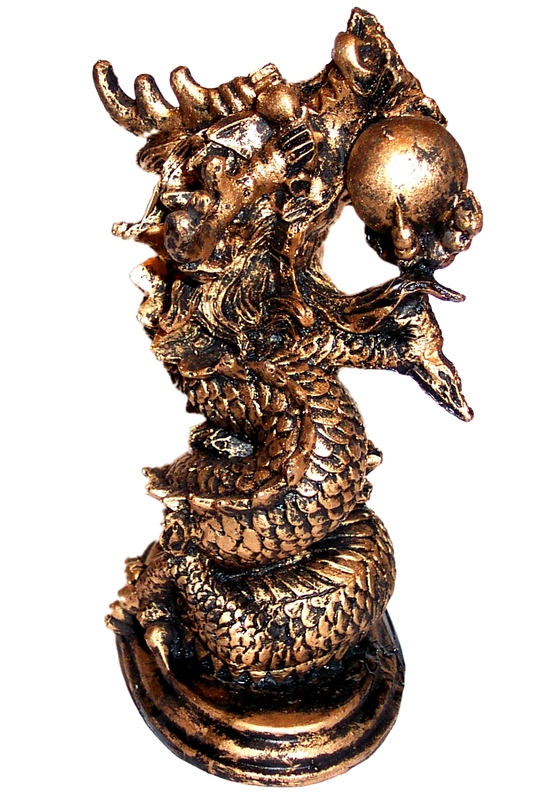 Dragons are placed in the home or office for courage, strength, endurance, protection, wealth. A gold coloured dragon is believed to be particularly effective in attracting wealth and prosperity. The golden pearl in it's claw symbolises wealth, abundance, power and opportunities. Crafted from resin and finished in an antiqued gold colour.